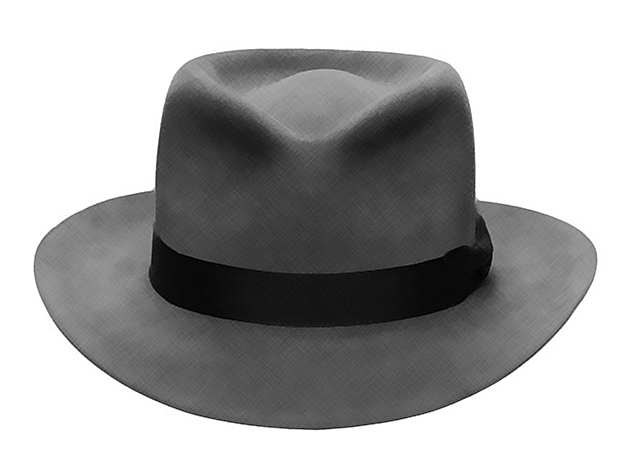 All your hats images have no shape to them, why? Can you renovate a hat? Do you charge to shape a hat? How do I get my hat custom fitted? How do I order a "Custom Hat"
What are the available hat creases? 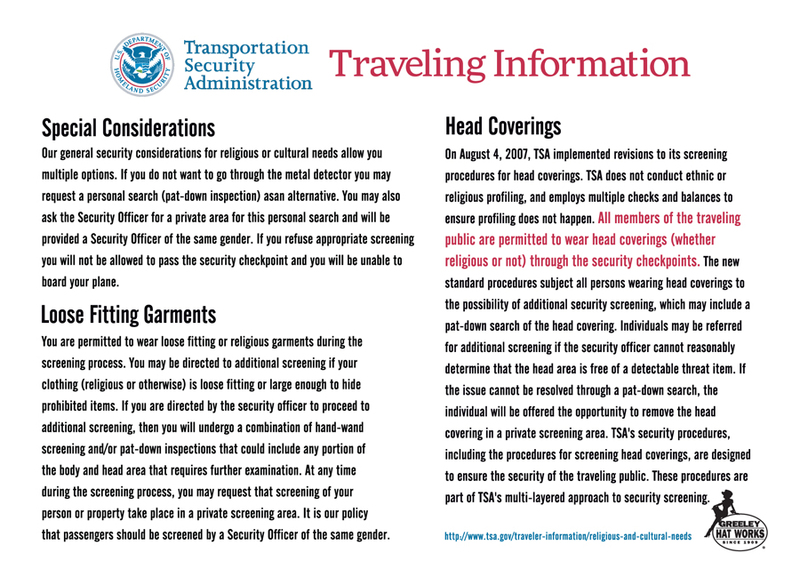 What are the TSA regulations regarding hats? What does it mean to deep clean a hat? What does it mean to have a custom built hat compared to ordering a stock hat? What is the difference between our qualities and what does each quality mean? Why does it take so long to build a custom hat? All our felt hats are built by hand in our Greeley, CO location. When they are finalized, whether they are custom or a stock size hat, they are left in an unshaped state, which we call, Open and Flat. We do this so that we can shape each and every hat to your EXACT liking. That’s why it is very important that when you order a stock hat online that you specify what shape you would like or you can even send us a picture of a hat shape and we can shape it exactly to the picture. After the drying process each hat is re-blocked (making the crown round again) and re-flanged (making the brim flat again). After this step each hat is re-pounced (sanded with special paper meant to lay the nap of the hat back down in the proper direction). After these steps and another few cooling processes the sweatband is sewn back in the hat with a sewing machine made just for that job. It is re-pressed and cooled again. 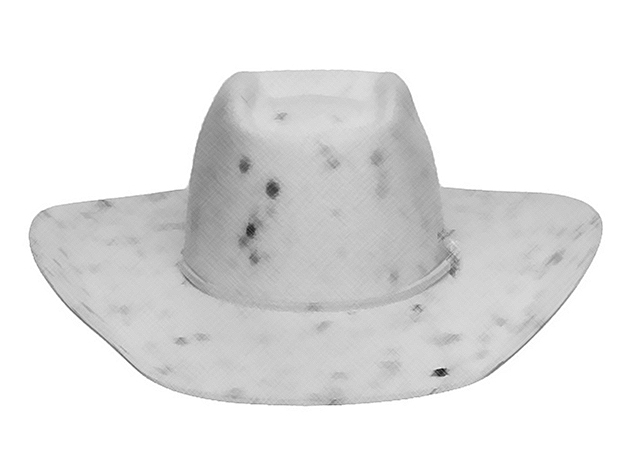 The hat is then re-lined with a new satin liner, unless otherwise requested. The hat trim is then sewn back on, by hand. The hat is then creased by hand and shipped back. Please remember, each hat is unique, and we cannot guarantee every spot can be removed. Like a shirt, if you wear it all the time and send it in for cleaning after hard use, not every spot will come out every time. We look forward to working with you....And your hat. When sending your hat in please include the following information. -work you would like done We will contact you when the hat is received. We do have a full service renovation service for hats from deep cleaning to fixing sweatbands and everything in between. However, not every hat can be renovated depending on the quality of the hat. Please send any renovation questions to renovate@GreeleyHatWorks.com. If you purchase or have purchased a GHW stock or custom hat there is no additional charge to shape the hat. Firstly, take a fabric tape measure and place it just above your eyebrows (where you like your hat to sit) and slope it down to the back of your head to get an accurate circumference in inches. All our hats are made by hand in our Greeley, Colorado location. All our hats (shapes, designs, etc.) only show suggestions. The options and possibilities are endless. We are only limited by your budget and time frame. Feel free to mix and match. Take designs and shapes from Classic, Competitor, Beaver20, Beaver Blend, Pure Beaver, and Tycoon. Mix different crowns and brims Just send us an email with your thoughts and we can put them into action. 1.1 We are committed to safeguarding the privacy of our website visitors and customers. 1.2 This policy applies where we are acting as a data controller with respect to the personal data of our website visitors and customers; in other words, where we determine the purposes and means of the processing of that personal data. 1.3 Our website incorporates privacy controls which affect how we will process your personal data. By using the privacy controls, you can specify whether you would like to receive direct marketing communications and limit the publication of your information. 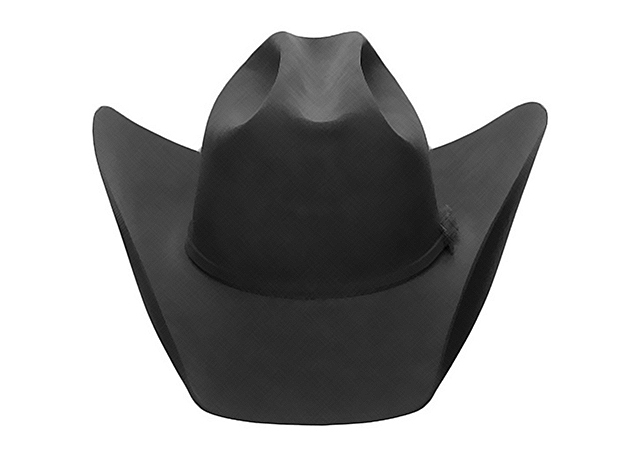 You can access the privacy controls by contacting our Marketing Department at social@greeleyhatworks.com. 1.5 In this policy, "we", "us" and "our" refer to Greeley Hat Works. For more information about us, see Section 13. (c) the legal bases of the processing. 3.2 We may process data about your use of our website and services ("usage data"). The usage data may include your IP address, geographical location, browser type and version, operating system, referral source, length of visit, page views and website navigation paths, as well as information about the timing, frequency and pattern of your service use. The source of the usage data is our analytics tracking system. This usage data may be processed for the purposes of analysing the use of the website and products. The legal basis for this processing is consent OR our legitimate interests, namely monitoring and improving our website and services. 3.3 We may process your account data ("account data"). The account data may include your name and email address. The source of the account data is Greeley Hat Works. The account data may be processed for the purposes of operating our website, providing our services, ensuring the security of our website and services, maintaining back-ups of our databases and communicating with you. The legal basis for this processing is consent OR our legitimate interests, namely the proper administration of our website and business OR the performance of a contract between you and us and/or taking steps, at your request, to enter into such a contract. 3.4 We may process your information included in your personal profile on our website ("profile data"). The profile data may include your name, address, telephone number, email address, profile pictures, gender, date of birth, interests and hobbies. The profile data may be processed for the purposes of enabling and monitoring your use of our website and services. The legal basis for this processing is consent OR our legitimate interests, namely the proper administration of our website and business OR the performance of a contract between you and us and/or taking steps, at you request, to enter into such a contract. 3.5 We may process your personal data that are provided in the course of the purchase of our product ("purchase data"). The purchase data may include name, address, telephone number, email address, date of birth, and credit card data. The source of the purchase data is Greeley Hat Works. The purchase data may be processed for the purposes of operating our website, providing our services, ensuring the security of our website and services, maintaining back-ups of our databases and communicating with you. The legal basis for this processing is consent OR our legitimate interests, namely the proper administration of our website and business. 3.6 We may process information that you post for publication on our website or through our services ("publication data"). The publication data may be processed for the purposes of enabling such publication and administering our website and services. The legal basis for this processing is consent OR our legitimate interests, namely the proper administration of our website and business. 3.7 We may process information contained in any enquiry you submit to us regarding goods and/or services ("enquiry data"). The enquiry data may be processed for the purposes of offering, marketing and selling relevant goods and/or services to you. The legal basis for this processing is consent. 3.8 We may process information relating to our customer relationships, including customer contact information ("customer relationship data"). 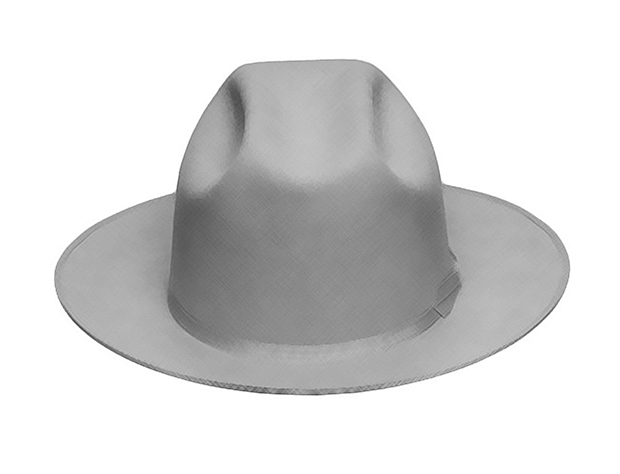 The customer relationship data may include your name, your employer, your job title or role, your contact details, and information contained in communications between us and Greeley Hat Works. The source of the customer relationship data is Greeley Hat Works. The customer relationship data may be processed for the purposes of managing our relationships with customers, communicating with customers, keeping records of those communications and promoting our products and services to customers. The legal basis for this processing is consent. 3.9 We may process information relating to transactions, including purchases of goods and services, that you enter into with us and/or through our website ("transaction data"). The transaction data may include your contact details, your card details and the transaction details. The transaction data may be processed for the purpose of supplying the purchased goods and services and keeping proper records of those transactions. The legal basis for this processing is the performance of a contract between you and us and/or taking steps, at your request, to enter into such a contract and our legitimate interests, namely Greeley Hat Works. 3.10 We may process information that you provide to us for the purpose of subscribing to our email notifications and/or newsletters ("notification data"). The notification data may be processed for the purposes of sending you the relevant notifications and/or newsletters. The legal basis for this processing is consent OR the performance of a contract between you and us and/or taking steps, at your request, to enter into such a contract. 3.11 We may process information contained in or relating to any communication that you send to us ("correspondence data"). The correspondence data may include the communication content and metadata associated with the communication. Our website will generate the metadata associated with communications made using the website contact forms. The correspondence data may be processed for the purposes of communicating with you and record-keeping. The legal basis for this processing is our legitimate interests, namely the proper administration of our website and business and communications with users. 3.12 We may process any of your personal data identified in this policy where necessary for the establishment, exercise or defence of legal claims, whether in court proceedings or in an administrative or out-of-court procedure. The legal basis for this processing is our legitimate interests, namely the protection and assertion of our legal rights, your legal rights and the legal rights of others. 3.13 We may process any of your personal data identified in this policy] where necessary for the purposes of obtaining or maintaining insurance coverage, managing risks, or obtaining professional advice. The legal basis for this processing is our legitimate interests, namely the proper protection of our business against risks. 3.14 In addition to the specific purposes for which we may process your personal data set out in this Section 3, we may also process any of your personal data where such processing is necessary for compliance with a legal obligation to which we are subject, or in order to protect your vital interests or the vital interests of another natural person. 3.15 Please do not supply any other person's personal data to us, unless we prompt you to do so. 4.1 We may disclose your personal data to our insurers and/or professional advisers insofar as reasonably necessary for the purposes of obtaining or maintaining insurance coverage, managing risks, obtaining professional advice, or the establishment, exercise or defence of legal claims, whether in court proceedings or in an administrative or out-of-court procedure. 4.2 Financial transactions relating to our website and products may be handled by our payment services providers. We will share transaction data with our payment services providers only to the extent necessary for the purposes of processing your payments, refunding such payments and dealing with complaints and queries relating to such payments and refunds. 4.4 In addition to the specific disclosures of personal data set out in this Section 4, we may disclose your personal data where such disclosure is necessary for compliance with a legal obligation to which we are subject, or in order to protect your vital interests or the vital interests of another natural person. We may also disclose your personal data where such disclosure is necessary for the establishment, exercise or defence of legal claims, whether in court proceedings or in an administrative or out-of-court procedure. (a) Name, address, telephone number, email address, profile pictures, gender, date of birth, interests and hobbies will be retained for a minimum period of 365 days following 5/25/2018, and for a maximum period of 20 years following 5/25/2018. (a) the period of retention of name, address, telephone number, email address, profile pictures, gender, date of birth, interests and hobbies will be determined based on marketing directives and purchase dates. 6.1 We may update this policy from time to time by publishing a new version on our website. 6.2 You should check this page occasionally to ensure you are happy with any changes to this policy. 6.3 We may notify you of significant changes to this policy by email. 7.1 In this Section 7, we have summarised the rights that you have under data protection law. Some of the rights are complex, and not all of the details have been included in our summaries. Accordingly, you should read the relevant laws and guidance from the regulatory authorities for a full explanation of these rights. (h) the right to withdraw consent. 7.3 You have the right to confirmation as to whether or not we process your personal data and, where we do, access to the personal data, together with certain additional information. That additional information includes details of the purposes of the processing, the categories of personal data concerned and the recipients of the personal data. Providing the rights and freedoms of others are not affected, we will supply to you a copy of your personal data. The first copy will be provided free of charge, but additional copies may be subject to a reasonable fee. You can access your personal data by visiting https://checkout.companybe.com/GreeleyHatWorks/my_account_login.cfm when logged into our website. 7.4 You have the right to have any inaccurate personal data about you rectified and, taking into account the purposes of the processing, to have any incomplete personal data about you completed. 7.5 In some circumstances you have the right to the erasure of your personal data without undue delay. Those circumstances include: [the personal data are no longer necessary in relation to the purposes for which they were collected or otherwise processed; you withdraw consent to consent-based processing; you object to the processing under certain rules of applicable data protection law; the processing is for direct marketing purposes; and the personal data have been unlawfully processed]. However, there are exclusions of the right to erasure. The general exclusions include where processing is necessary: for exercising the right of freedom of expression and information; for compliance with a legal obligation; or for the establishment, exercise or defence of legal claims. 7.6 In some circumstances you have the right to restrict the processing of your personal data. Those circumstances are: you contest the accuracy of the personal data; processing is unlawful but you oppose erasure; we no longer need the personal data for the purposes of our processing, but you require personal data for the establishment, exercise or defence of legal claims; and you have objected to processing, pending the verification of that objection. Where processing has been restricted on this basis, we may continue to store your personal data. However, we will only otherwise process it: with your consent; for the establishment, exercise or defence of legal claims; for the protection of the rights of another natural or legal person; or for reasons of important public interest. 7.7 You have the right to object to our processing of your personal data on grounds relating to your particular situation, but only to the extent that the legal basis for the processing is that the processing is necessary for: the performance of a task carried out in the public interest or in the exercise of any official authority vested in us; or the purposes of the legitimate interests pursued by us or by a third party. If you make such an objection, we will cease to process the personal information unless we can demonstrate compelling legitimate grounds for the processing which override your interests, rights and freedoms, or the processing is for the establishment, exercise or defence of legal claims. 7.8 You have the right to object to our processing of your personal data for direct marketing purposes (including profiling for direct marketing purposes). If you make such an objection, we will cease to process your personal data for this purpose. 7.9 You have the right to object to our processing of your personal data for scientific or historical research purposes or statistical purposes on grounds relating to your particular situation, unless the processing is necessary for the performance of a task carried out for reasons of public interest. 7.11 If you consider that our processing of your personal information infringes data protection laws, you have a legal right to lodge a complaint with a supervisory authority responsible for data protection. You may do so in the EU member state of your habitual residence, your place of work or the place of the alleged infringement. 7.12 To the extent that the legal basis for our processing of your personal information is consent, you have the right to withdraw that consent at any time. Withdrawal will not affect the lawfulness of processing before the withdrawal. 7.13 You may exercise any of your rights in relation to your personal data by written notice to us, in addition to the other methods specified in this Section 7. 8.1 A cookie is a file containing an identifier (a string of letters and numbers) that is sent by a web server to a web browser and is stored by the browser. The identifier is then sent back to the server each time the browser requests a page from the server. 8.2 Cookies may be either "persistent" cookies or "session" cookies: a persistent cookie will be stored by a web browser and will remain valid until its set expiry date, unless deleted by the user before the expiry date; a session cookie, on the other hand, will expire at the end of the user session, when the web browser is closed. 8.3 Cookies do not typically contain any information that personally identifies a user, but personal information that we store about you may be linked to the information stored in and obtained from cookies. 11.2 Blocking all cookies will have a negative impact upon the usability of many websites. 11.3 If you block cookies, you will not be able to use all the features on our website. 12.1 This website is owned and operated by Greeley Hat Works. 12.2 We are registered in the United States of America and our registered office is at 2613 8th Ave Greeley, CO 80631. 12.3 Our principal place of business is at 2613 8th Ave Greeley, CO 80631. (c) by email, using social@greeleyhatworks.com. We have been renovating hats since 1909. The only MAJOR change to our process was changing our solvent in the early 1940's due to regulations. Each hat is first evaluated and stripped down to soak in our signature petroleum based solvent for nearly a week. Why do we use a petroleum bases solvent? Your hat is made from hair. Hair naturally has "good" oil in it that helps keep it healthy. Soaking and washing it in our solvent helps rejuvenate and restore the vital "good oils" back into each and every piece of hair your hat is made from. After it is soaked each hat is washed by hand and then put into our antique hat spinner to remove the excess solvent. At this point the hat may be re-washed if needed, as many times as needed. Each hat is then air dried for several days. All our custom and stock hats are built by hand in our Greeley, CO location. The difference between having us build a custom hat compared to ordering a stock size hat is that you can choose from any of our qualities and colors for a custom hat and then we use a conformateur to get the exact shape of your head. All the hats you see online are in our stock sizes and a regular oval. All our stock hats are still made by hand so if you don’t see your size online and would like to just order a stock hat, please allow 4-6 weeks. When it comes to X’s there are no industry standards or government regulations. That is why it is so important to know the maker of the hat and what THEIR standards are. For example, one companies 10X could be better than another companies 40X. X’s were originally used to grade a beaver pelt when shipping it to Europe, to make a standard between old world and new world communications. The bigger and nicer the pelt was, the more X’s were marked on the back. Jump ahead to the 1940’s and each X was equal to 10 percent beaver and 10 dollars. You could look in a 10X hat and know it was 100 percent beaver and 100 dollars. Then the big companies started getting wise to the original “X Games”. More X’s and less quality gave to bigger profits and less quality. You can know buy a 100X, 200X, 500X, and even a 1000X hat!!! That is why, here at Greeley Hat Works, we don’t use X’s. All the blends, weights, and stiffnesses of our bodies are exclusive to us. We have very close relationships with 3 of the top felt makers in the world and have worked in their factories to get our “recipe” just right. Remember, we only use fine European Hare, blends of European Hare and Beaver, Pure Beaver (belly hair only—no guard hair), and a Beaver and Mink blend. The more beaver is in the hat it will make the hat more durable, hold its shape better, clean up better, and more weather resistant. CLASSIC- This is our entry level hat. This is a European Hare blend that many of our retailer partners compare to other companies 10X to 15X hat. PURE ROUGHIE- a European Hare blend that is felted with sometimes several colors and finished with shark skin to give the nap a longer finish. This is better blend of European Hare that many of our retail partners compare to other companies 20X-30X hat. 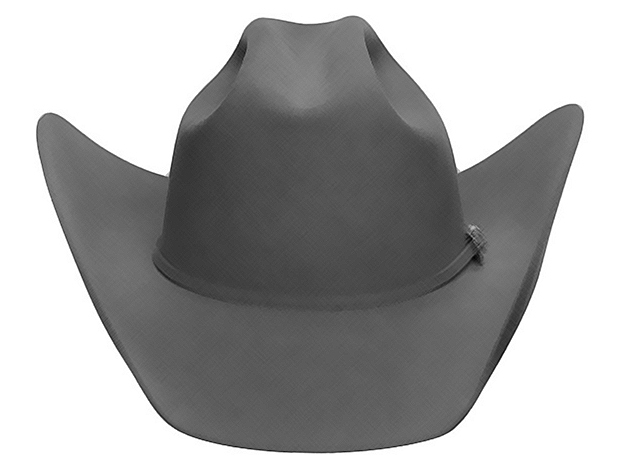 This hat is thinner, lighter weight, more weather resistant, and durable. Pure Beaver- Just that. Pure Beaver belly hair. This is our #1 selling hat. A little more expensive up front, but cheaper in the long run. If you ride a horse everyday, you don’t buy a cheap work saddle. Why would you skimp on a hat? What is next to your skin? What is absorbing your perspiration? Many companies use Genuine Synthetic Taiwanese Leather (aka plastic). WE ONLY USE the finest hand reeded Roan Leather Sweatbands. We also offer a High Performance Sweatband that is raw leather and grips more. Due to the fact that it is “raw” it patina’s and gets darker with wear. That is why it is only offered in our custom hats. 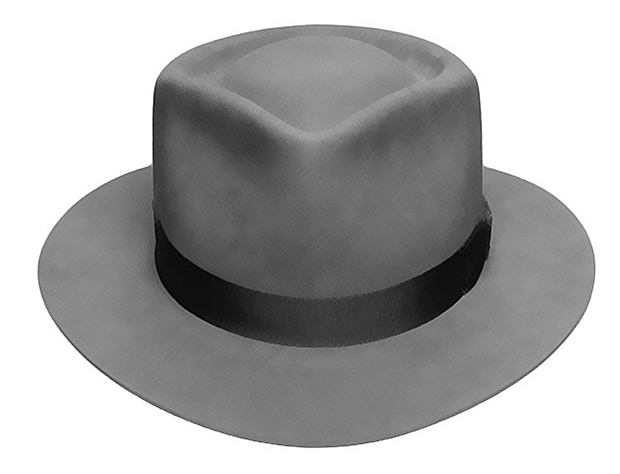 Since 1909, Greeley Hat Works has been creating and renovating fine quality headwear. 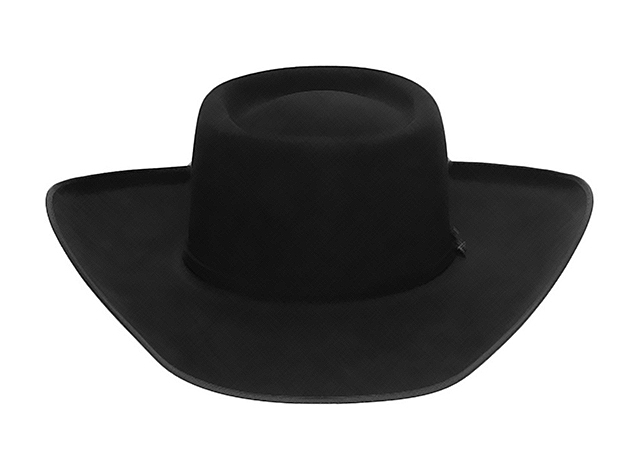 Just about any kind of hat you can imagine, from traditional working cowboys' hats, to fashion forward cutting edge hats. The things they both have in common is they are all built one at a time, by hand. When you pick up a hat built by Greeley Hat Works, you can feel the difference. It's hard to put into words what that difference is exactly. Maybe it's the finish on a hand built felt hat, velvet soft yet firm. More than likely, it's the things that isn't that make the biggest difference. It isn't made on an assembly line with a "one-size-fits-all mentality". It's built by hand with elbow grease of a skilled hatter using tools and techniques, and sorcery that have been around since the 1800's. but it isn't just the skill of the hatter that makes a great hat, it also depends on what the hat is made from. It's like the old saying "You can't make a silk purse out of a sow's ear". Nor can you make a great hat from poor materials. Skill and craftsmanship are important, but the integrity of the materials used is the foundation of lasting quality. With any of the Greeley Hat Works hats you are only limited by your imagination. Your Greeley Hat Works hat is as unique as your signature, so express yourself. Our newsletter gets sent out occasionally. If you subscribe, you can recieve updates & special offers that are really great! Things like coupons, gift certificates or where the tour is going next.